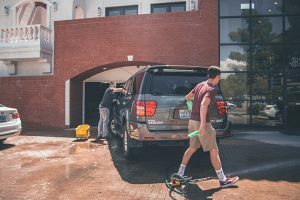 If you own a pressure washer, chances are you bought it to easily clean the large and flat surfaces around your property: a driveway, or patio, or walkway, or deck, something of that kind. 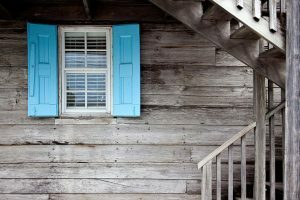 These surfaces tend to attract a good bit of dirt, often so much that one pass with your wand isn’t enough, and even then you’re likely going to miss a few spots or end up with a stripe that isn’t as clean as the others. Fortunately, that’s where the surface cleaner comes in. 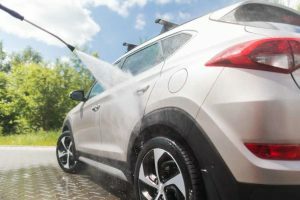 A surface cleaner makes washing your driveway or patio much quicker and easier, and it almost completely eliminates the need to do over spots you missed, making the job a once-and-done affair. 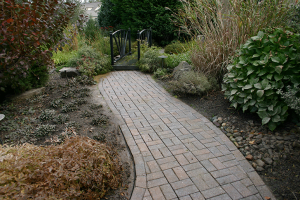 A driveway may end up being an afternoon’s work with a wand, but take much less time through a surface cleaner. Today, we’re going to go through the basics of surface cleaners, then we’re going to look at a few of the best surface cleaners on the market. So I hear you ask, what’s a surface cleaner? A surface cleaner is an attachment for your pressure washer. On the outside, the larger ones look very much like floor buffers. The real magic is on the inside: the water sprays out from two rotating arms under the casing and is directed at high pressure onto the surface to work its magic. The casing directs the pressure onto a very small surface area and completely prevents backsplash. And there’s more: the casing is also fitted with skirts or brushes that help with cleaning up dirt and preventing sidesplash. Attachment to your pressure washer depends on how large the surface cleaner is. The smaller ones fit onto the end of your wand and use it for control. The larger surface cleaners attach to the hose instead of the wand, though they still have the same hand grip for control; you’ll see one later among our choices. Once it’s fitted, use it like a floor buffer or vacuum cleaner: pass it over the surface to be cleaned, and push it along. The lighter ones will stay up on water pressure alone; heavier surface cleaners will have wheels for support. Now, words are all well and good, but to really understand what they do, we should see a surface cleaner in action. Here's a video from Mi-T-M, makers of pressure washers and accessories, demonstrating how one of their products works. So, what should you look for in a surface cleaner? There are four main factors. Firstly, size. This will be expressed in inches, and is the diameter of the surface area the cleaner covers. A larger size means you can clean a wider area in a single pass, but they also need more power. 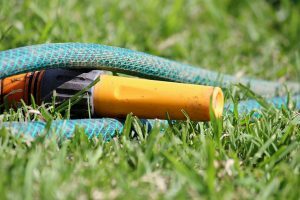 This and the next item are closely related, so if you've got a particularly large area to clean, you'll have to consider if your pressure washer and surface cleaner are both up to the task. Second, pressure and flow ratings. This is closely related to size. Connectors being what they are, you can hook up a 2000 PSI, 1.76 GPM washer to a 28" surface cleaner, but you won't be moving very quickly, or at all. Connecting something over the rated pressure and flow specs is also bad. A little bit over is fine, but plugging a 4200 PSI washer to an 11" surface cleaner will very likely result in significant damage to the surface cleaner. So always look at a surface cleaner's specifications, and compare it to the numbers on your pressure washer. There's also connector type. Most surface cleaners generally use a 1/4" quick connect fitting, which means you screw it onto the end of your wand in place of a nozzle tip. This does mean that you may end up having to bend over while you wash, so you might want to buy a longer rod for your wand. The larger surface cleaners will connect directly to your pressure washer's hose in place of the wand; these generally have longer handles that let you stand while using them. There are some manufacturers who make surface cleaners with proprietary connectors, but these generally will also accept an adaptor for a more standard fitting. Check the specifications to be sure. This article, we've listed only 1/4" quick connects or direct hose connections. Last, material. Generally speaking, you'll have your choice of steel versus plastic. 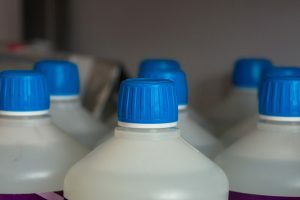 Plastic surface cleaners are cheaper and lighter, and thus less fatiguing to use, but may not have the toughness required for long, demanding jobs. Steel surface cleaners are the opposite, being more expensive and heavier, but the tougher steel means they can stand up to abuse that a plastic surface cleaner would fall to. Most of the time, you can get by with a plastic one, but if you're anticipating a lot of use, the durability of steel may serve you better. Greenworks should a familiar name if you’re seasoned in the pressure washing business, especially on the residential end. This surface cleaner comes in Greenworks’ familiar green color and is perfect for those who can’t provide any more than 2000 PSI. This surface cleaner attaches to the end of your wand . It’ll attach to anything with a 1/4” quick connect, so it’s still a good buy even if you don’t have a Greenworks washer. What I love about this washer is the bang for your buck! 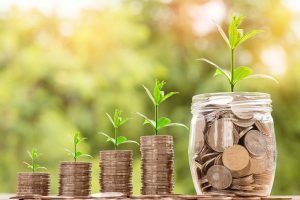 It always gets the job done, and its pricing is excellent. It does come with downsides; it’s fairly small and low-powered. It also has a bit of trouble with the more ingrained stains, as it can’t quite get a consistent deep clean going, and you may need to finish off stubborn spots with the wand. That said, even though it’s 11”, it can still do a flat surface quicker than just the wand, so a routine of washing the entire surface with the surface cleaner, then taking care of trouble spots with the wand should see you through. Every other pressure washer brand stands in the shadow of Karcher, who made the original pressure washer in Germany back in 1950, and they maintain their place in the business today. We’re happy to say that their pressure washer attachments are just as good, especially this particular 11” surface cleaner. Though its description says it’s compatible with a series of Karcher washers, the 1/4” quick connect fitting does mean that it can accommodate many other brands, up to 2000 PSI. It’s mostly made of plastic to keep weight down. In terms of performance, it does hard surfaces better than the Greenworks 30012 does, being a bit more capable in cleaning out deeply-set grime and stains. Again, there is the inherent downside in the fact that it’s only 11” across, but it’s still faster than just the wand alone and operates with a lot less splashing. The Greenworks and Karcher cleaners do a pretty decent job if you’ve got a small area to clean, or if you’ve only got a low-powered washer. But when you’ve got a big job, this cleaner from Briggs and Stratton will help see you through. The B&S 6337 is a 14-inch surface cleaner rated for electric pressure washers from 1600 to 2200 PSI. It also fits onto the end of a wand with a 1/4” quick connect, similar to the previous two, but you’ll get the job done faster with its wider radius and greater power. The B&S 6337 also has a built-in detergent tank, which makes an easier time of cleaning up stubborn stains or large areas. Overall, the B&S 6337 delivers excellent service, and is a big step up from the smaller and cheaper cleaners on the market. Gas washers are a good deal more powerful than electric washers, and a surface cleaner made for an electric pressure washer might not stand up to a gas-powered washer. That’s when we turn to Simpson, notable for their wide range of gas-powered washers, and this lovely accessory. The Simpson 80166 is specifically made for gas pressure washers and is rated up to 3600 PSI. It’s the latest incarnation of Simpson’s surface cleaners, a 15” model ringed with brushes. The housing is made from steel, unlike the previous plastic ones, and attaches using a 1/4” quick connect fitting. The extra inch coupled with the greater power of a gas washer means that you can cut cleaning times down by a huge margin. The steel construction does mean it’s a bit heavy, but you have no need to worry about its durability while it rests or while you’re working. The only real downside is if you’re handling industrial jobs, as this surface cleaner isn’t rated for hot water use. Whether you’re a home cleaner with a gas-powered pressure washer, or a contractor specializing in driveways and concrete, if you’re doing flat surfaces, the DeWalt has a place in your inventory. It’s 18” across, which will aid in cleaning large areas that much faster, and it’s good for pressures up to 3400 PSI. As usual, it connects to your wand with a 1/4” quick connect. The body is powder-coated steel, and the nozzles are stainless steel, ensuring great durability if you don’t mind the weight. It does have its downsides, depending on what side of the fence you’re on. Residential users may find it a touch overkill for their needs, though nobody would complain at the time savings. Industrial contractors will still need something that can take higher pressures and hot water. Sometimes, you just have to break out the big guns. When you’ve got a high-powered pressure washer and you have something the size of a football field to wash, this massive surface cleaner from Mi-T-M has you covered. Their rotary surface cleaners come in four different models: 20”, 24” with two nozzles, 24” with three nozzles, and 28”. They can all take pressures of up to 4000 PSI, while water volume depends on the model. The 20” can accept 3 to 5 GPM, the 24” is good for up to 4 GPM on the two-nozzle, or 6 GPM on the three-nozzle, while the 28” can take from 4 GPM to 10 GPM. It’s a solid, chunky thing, even the 20” version, but it comes with a heavy-duty anodized aluminum handle and a trigger gun the hose plugs into. The handle is tall enough that you won’t need to bend over to use it; just turn it on, control the flow with the trigger gun, and start walking. The 20” and both models of 24” float with water pressure, while the 28” is fitted with wheels. They’re also rated for hotter temperatures. 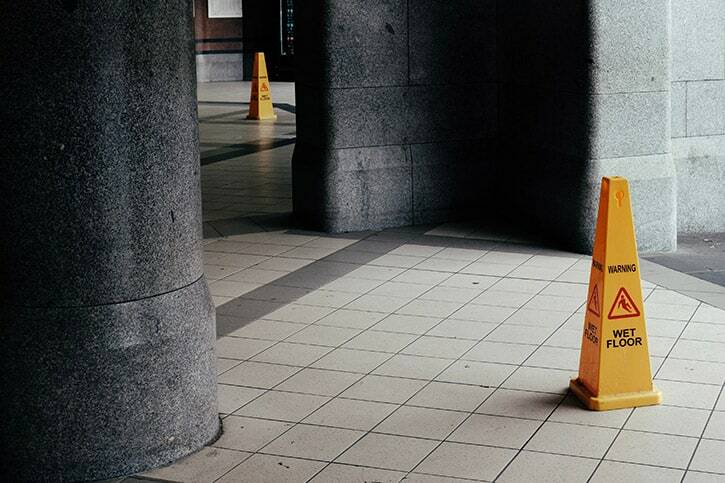 For those industrial job sites with the really stubborn stains on the floor that need serious attention from your hot water washer, this is the way to go. The 20” and both models of 24” are good for temperatures of up to 180 F; the 28” is your best bet if you’re regularly using hot water, as it goes up to 212 F.
Just about the only disadvantages this model has is the hefty price tag and the size. It’s clearly made for commercial and industrial use, so if that’s you, look no further. Tall handle; no more bending over! 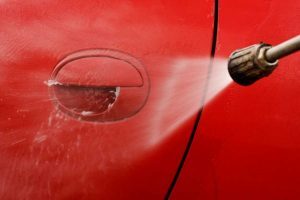 Can I use a surface cleaner on my car? Honestly, better not to. 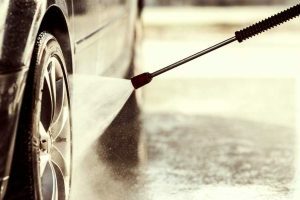 Even the smallest surface cleaners are overkill for a car, and the focused jets are too close to the surface to avoid damage. Better to use a low-powered washer, or a wide-angle tip at some distance, combined with a lot of detergent. Remember, pressure washers can be dangerous equipment if mishandled, and surface cleaners work better with large, flat surfaces. Now, if you do have something bigger, like a boat or an RV, a surface cleaner becomes more worth using, again provided that you stick to low power. Can I use a surface cleaner on walls or fences? For walls, yes! You’ll fare better with the lighter models, of course, as you’ll be holding it up instead of letting the ground do it. But a surface cleaner will do for a vertical surface as well as a horizontal one. Of course, there also specialized wall cleaners. These are basically the same thing, except that they go in place of the wand, and the round casing is directly attached to the spray gun. For fences, especially picket fences and similar such things, they’re not quite as good a solution. You’re better off just using a normal tip and going carefully. A stone or panel fence can be treated like a wall. In all cases, use with caution, especially with a surface cleaner that has a swivel. If they turn around and the spray hits something else, damage may result to whatever’s on the receiving end of the spray. 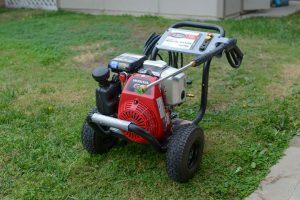 If I have a gas pressure washer, can I still use a surface cleaner made for an electric pressure washer? Yes, provided that you are still in the rated pressure and flow rate. The difference between gas and electric lies in what drives the pump, but ultimately it’s still a pump that throws water. However, the average gas washer is much stronger than the average electric washer, so be cautious of statistics and don’t overload your surface cleaner. The same goes for the other way around. Remember that if you connect a washer that’s too weak for your surface cleaner, you may not get any cleaning action at all.